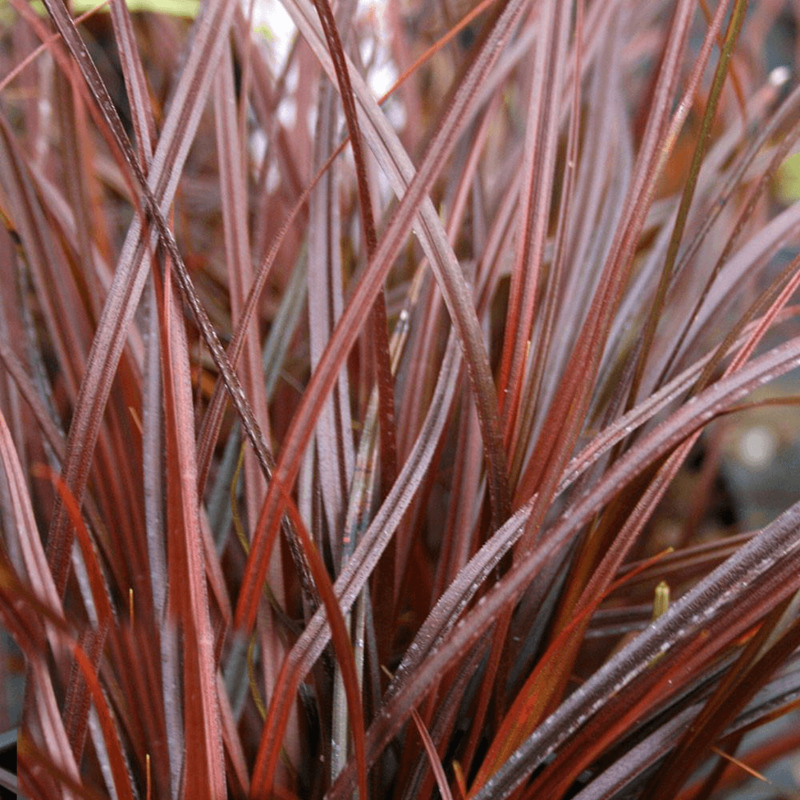 Uncinia Rubra Everflame is an evergreen grass-like plant with brilliant colourful leaves. It forms an arching mound of deep reddish-brown leaves that retain colours throughout the year. It is not an actual grass but a neat sedge that grows upright, reaching a small height of 1 feet. Everflame will sit tight in containers, decorating your patio with unusual bright colours. It features variegated leaves that shimmer in sun. Also known as the Red Hook Sedge, this grass-like plant is originally from New Zealand. It produces narrow bronze leaves with edges that are marked with deep red. It blooms small brown flowers in summer but they are inconspicuous. The vivid bright red margins make the leaves stand out. These evergreen leaves allow Everflame to show off its colours even in winter. This versatility of this grassy plant allows it to fit in containers, baskets, borders and beds. Everflame prefers slightly moist soils over dry ones. Plant it in partially shady locations in damp regions of the garden. Make sure the soil is well-drained since the grass dislikes clogged water in its roots. It is relatively easy to grow plant that does not require a lot of maintenance. It turns out to be a hardy perennial once the roots are established. Water the young plants regularly, especially in dry periods. The overgrown clumps can be divided in spring to maintain a perfect structure. Bring Everflame sedge in containers and set your rockeries on fire! Plant it at the front of borders that do not receive direct sun. It looks stunning when grouped together along a pathway or a porch.